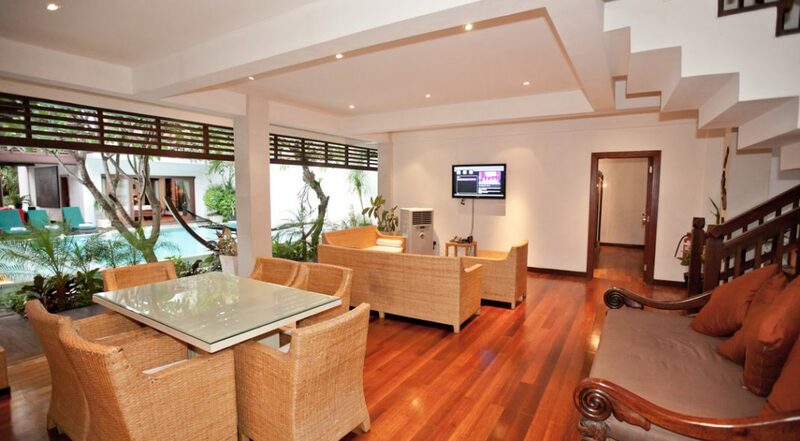 From $ 1,627AUD per night We have direct contracts with most villa owners. We don't add any booking fees. We are 100% transparent with no nasty surprises. ONLY 200 metres to the beach - rent this today! 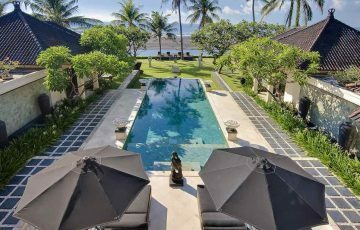 Villa Casis is a wonderful villa that’s only 200m from Sanur beach – for the price per night and the location this is great holiday value! 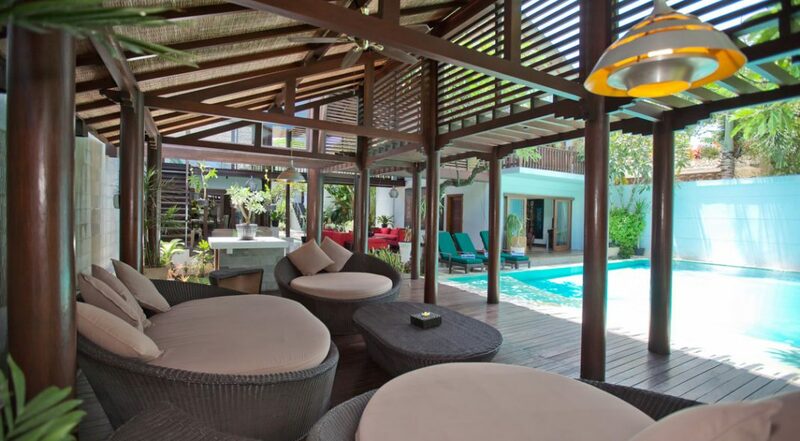 Villa Casis is a stunning award winning 6 bedroom Sanur villa holiday rental located in a popular area of Sanur which is in the South Eastern Coast of Bali. 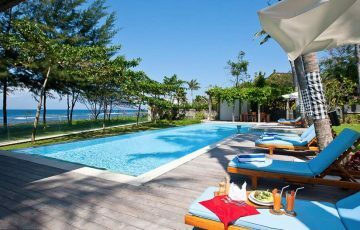 It is only 200 meters away from the lovely shores of the beach and offers the perfect retreat for families and groups who want to enjoy the pleasures of a beach side holiday. 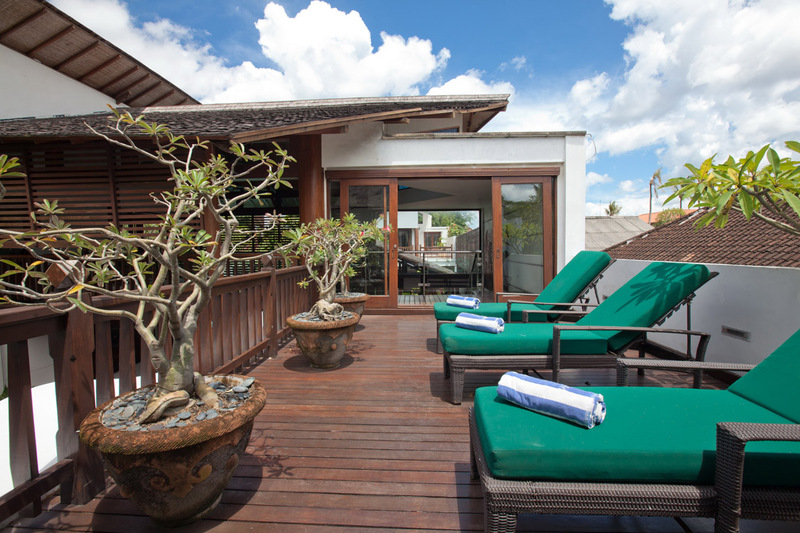 Holidaying in Sanur villa, especially in Villa Casis is all about escaping the noise & crowds where you can soak up the relaxing Balinese ambiance. 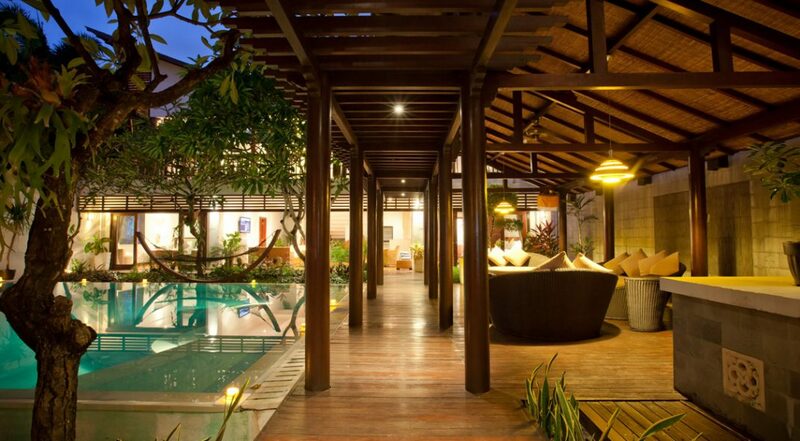 The villa is surrounded by a fence which gives its guests utmost privacy, peace and intimacy. 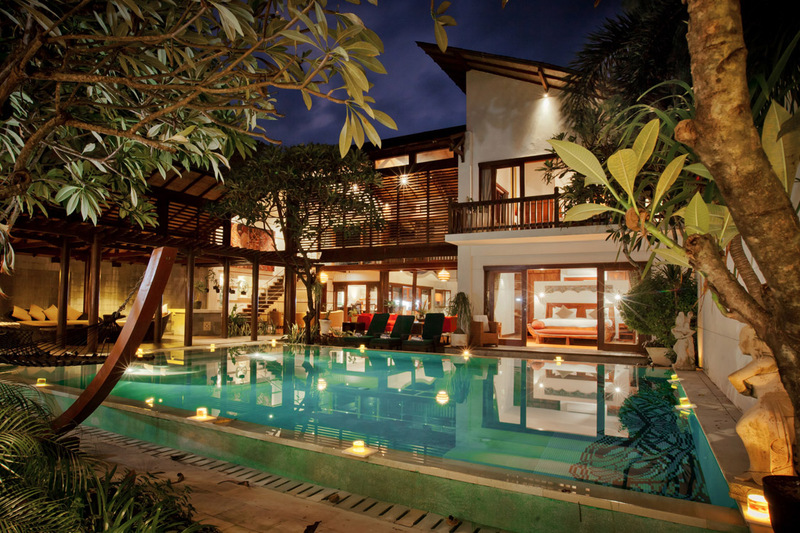 Right next to the white fence is a sparkling blue pool which is flanked by the buildings of the villa. 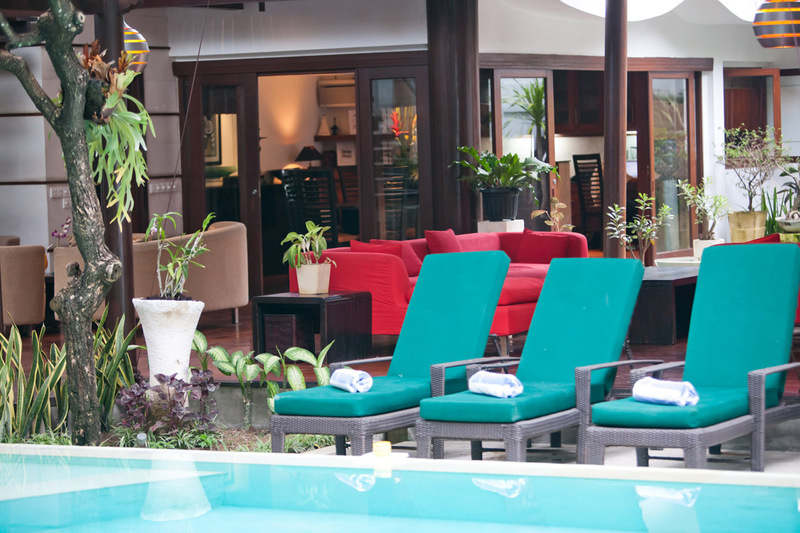 There are lounge chairs beside the pool for guests to sit and relax and in a wooden structure right beside the pool is a cozy sitting area perfect for outdoor relaxation and entertainment. 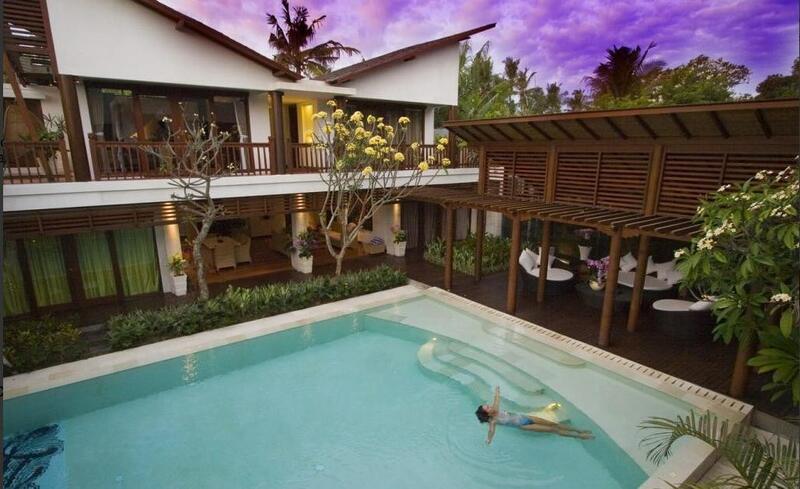 This is what family holidays in Bali are all about and Villa Casis provides this. 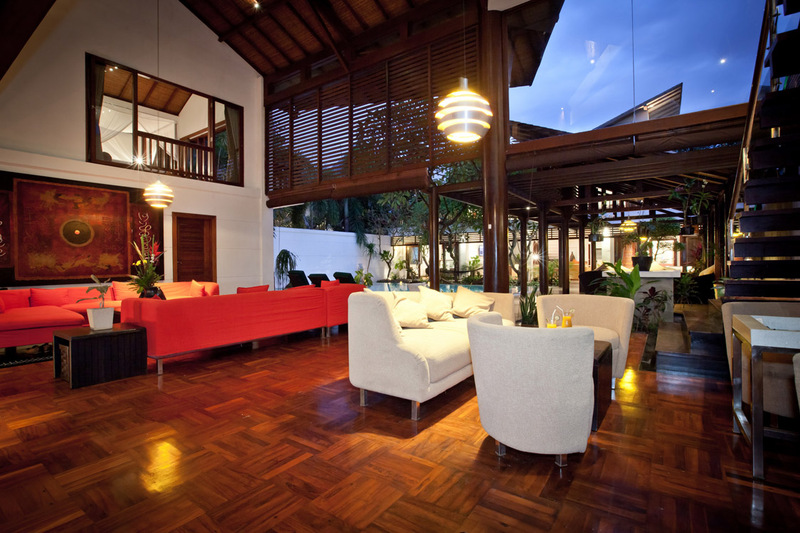 The stunning living area of Villa Casis is on the ground floor of the storey building. It is as comfortable as it is beautiful. 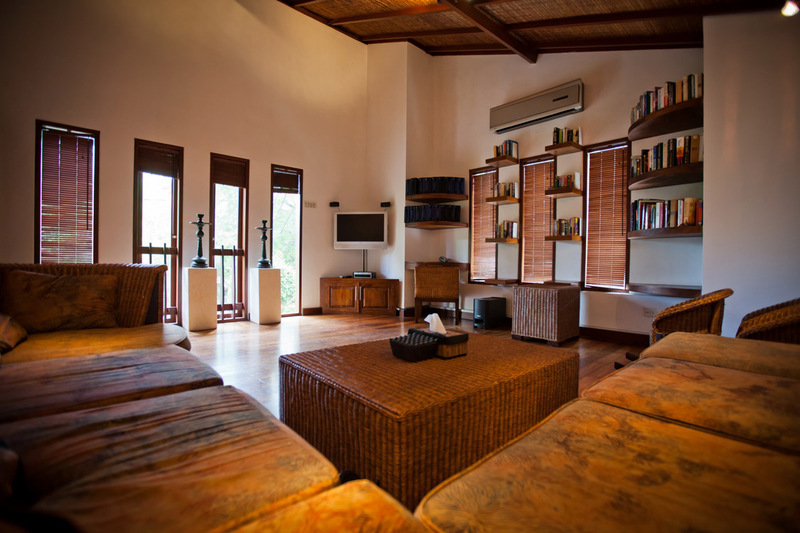 The vaulted wooden ceilings and open sides allow for the room to always be airy and well ventilated. 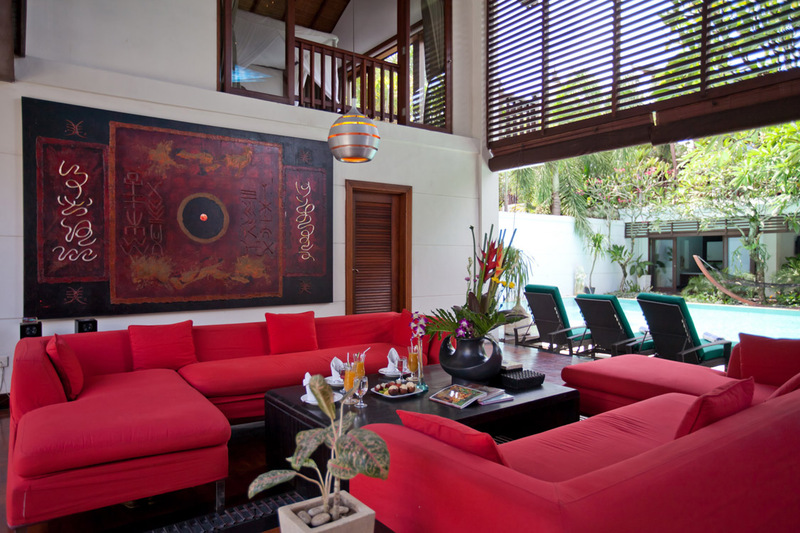 There is a lovely red sofa set, lovely portraits on the wall, wooden floors and a white sofa and matching chairs tucked away in the corner. 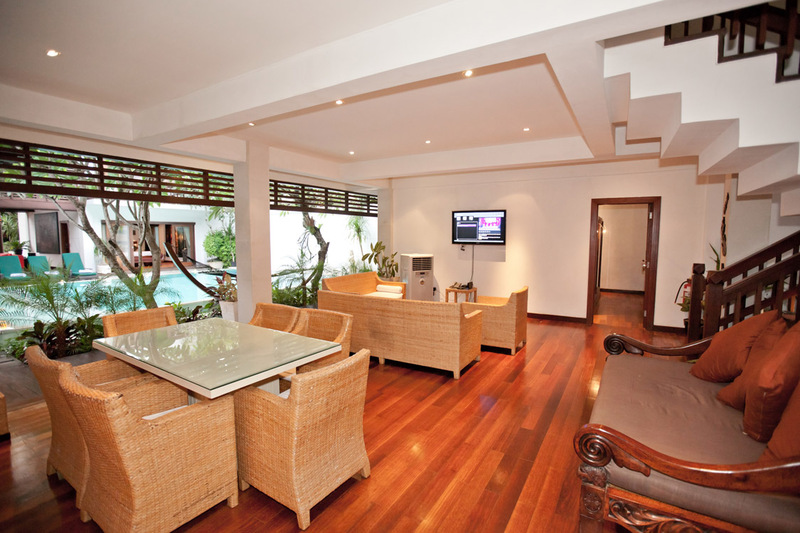 Located in other parts of the villa are other smaller living areas so guests can never feel crowded. 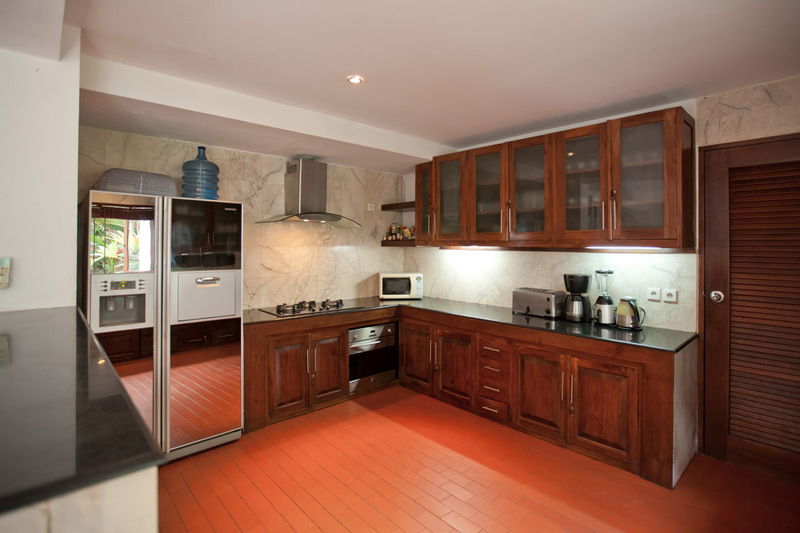 Villa Casis also boasts of a lovely dining area and a world class gourmet kitchen. 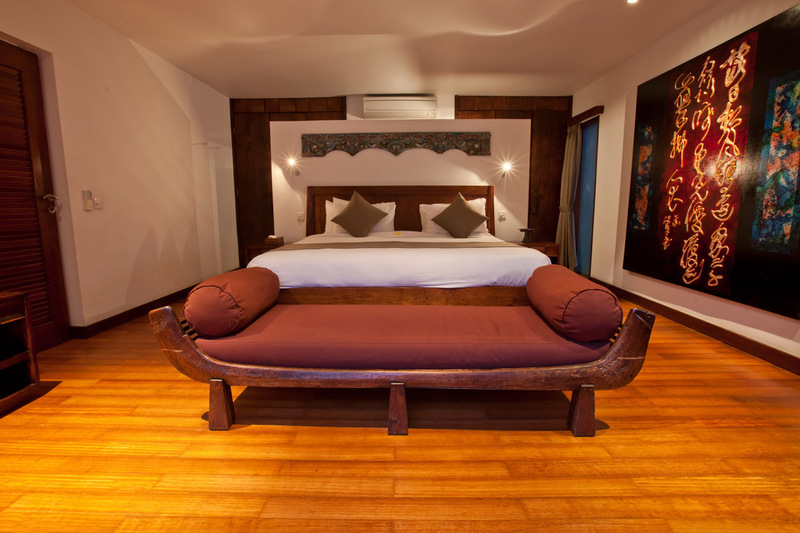 Villa Casis has 6 bedrooms which are decorated and styled in a very lovely Balinese theme. 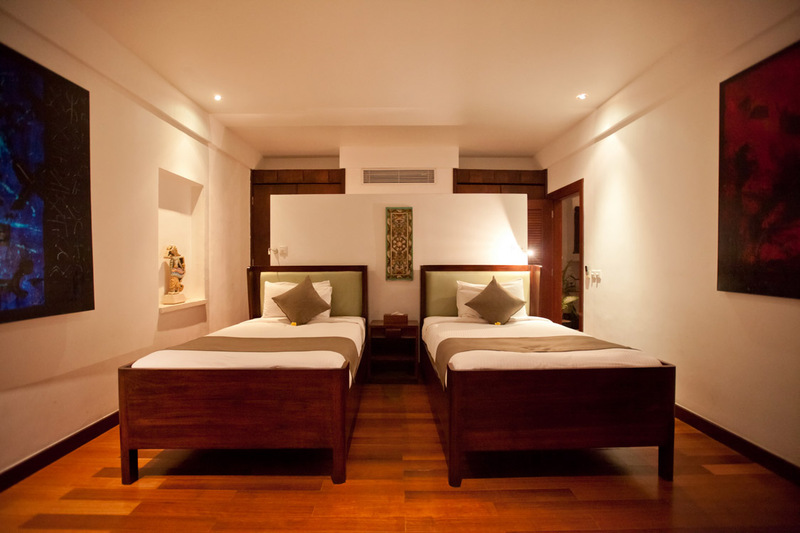 Of the six bedrooms, four have king beds and two have twin beds. 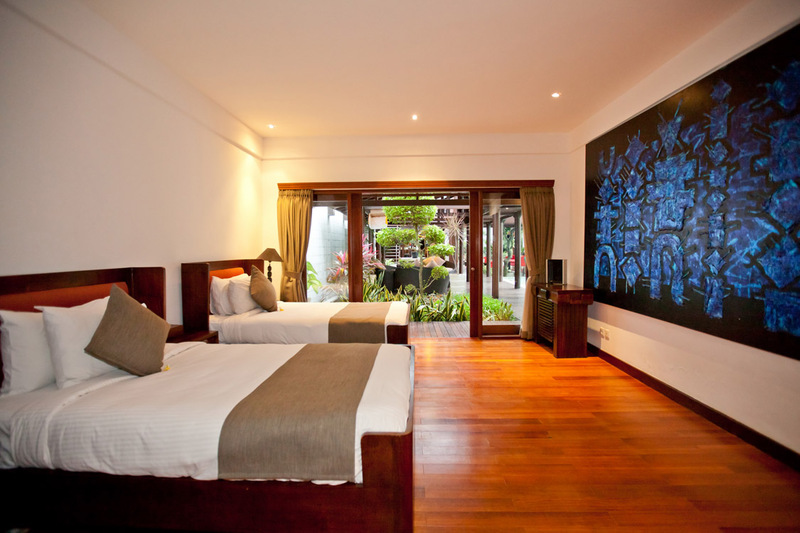 Beautiful paintings hang on the walls, a small sofa can be found in some and there is a TV in each room. Sliding glass doors lead out to a small patio where guests can sit and just drink in the beauty of their surroundings. 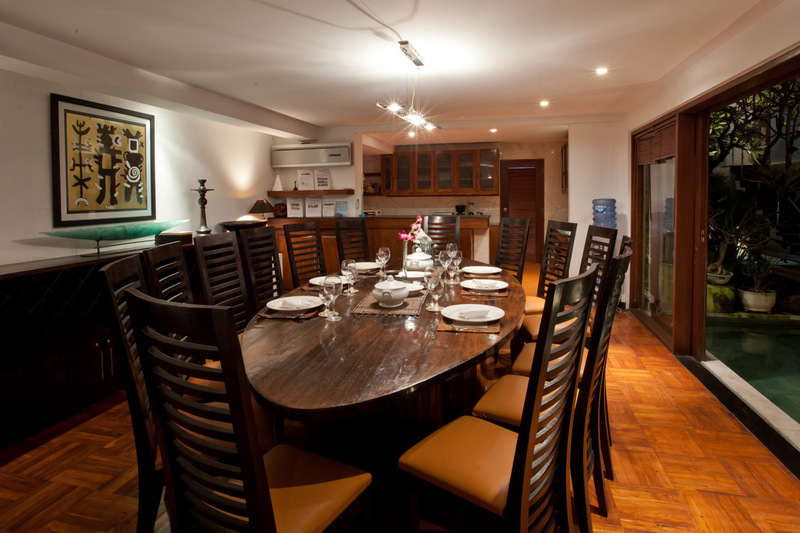 In total, Villa Casis can comfortably accommodate 12 guests. 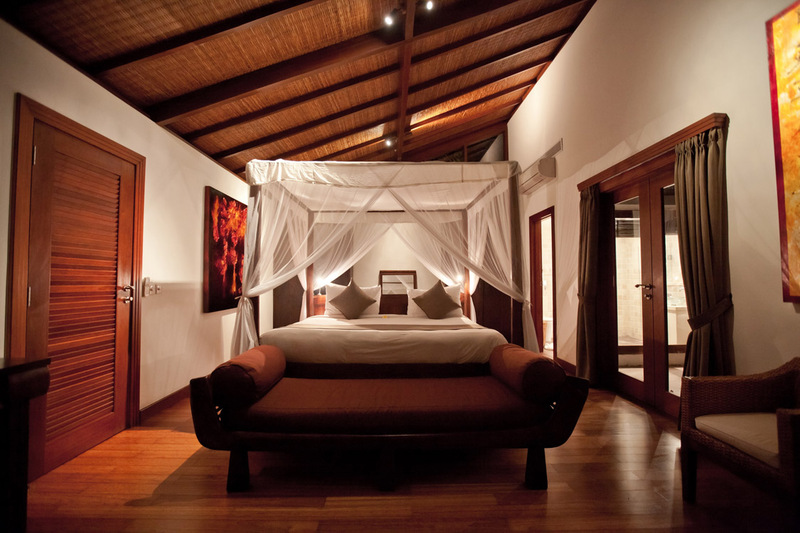 The villa has an impressive 13 staff list ranging from a villa manager, to a spa therapist, chef, butler, etc. 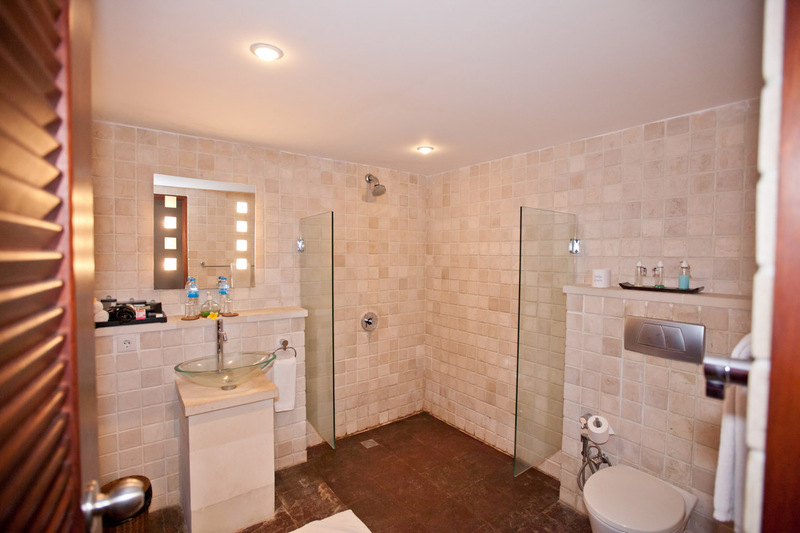 Also, at Villa Casis, guests get daily complimentary breakfasts and enjoy high speed wifi. 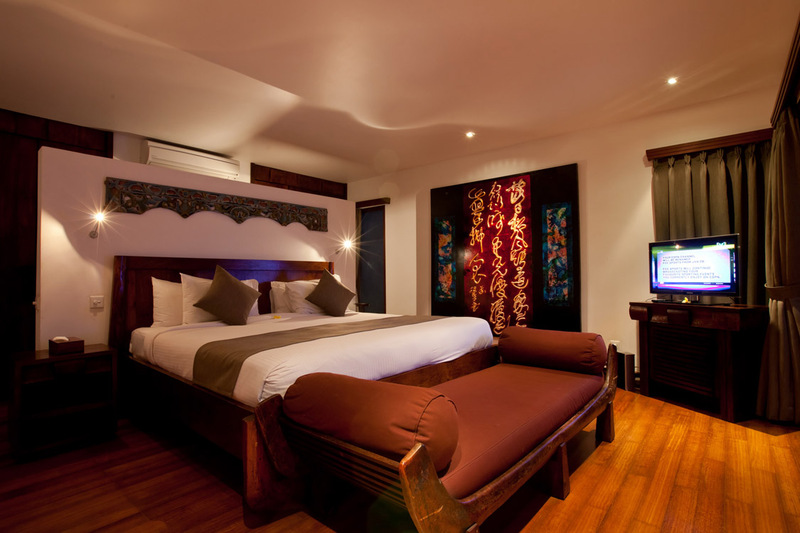 Your holiday comfort remains the priority of the staff who will make sure you are completely pampered and made to feel right at home throughout your stay. 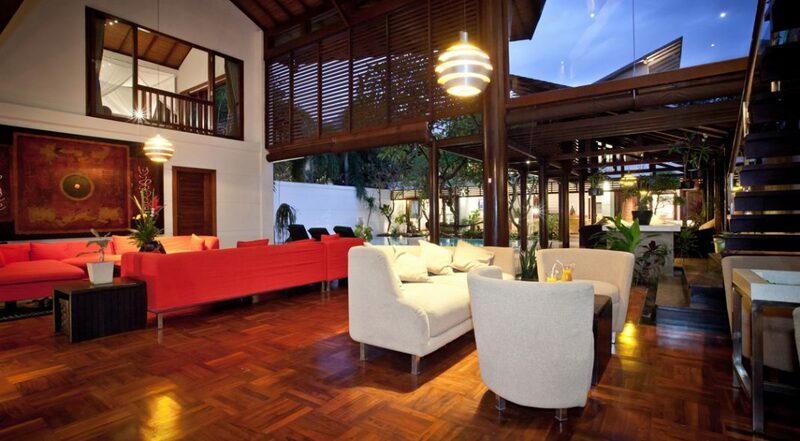 Villa Casis is renowned for its closeness to Sanur beach which is just 200 metres away from the villa. 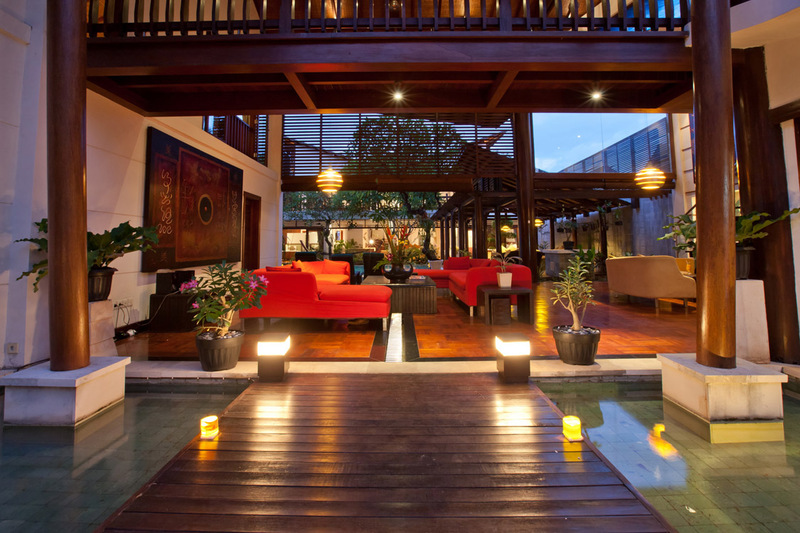 There, guests have several choices of beach side restaurants, tourist shops (for that sarong or souvenir) & cafes. 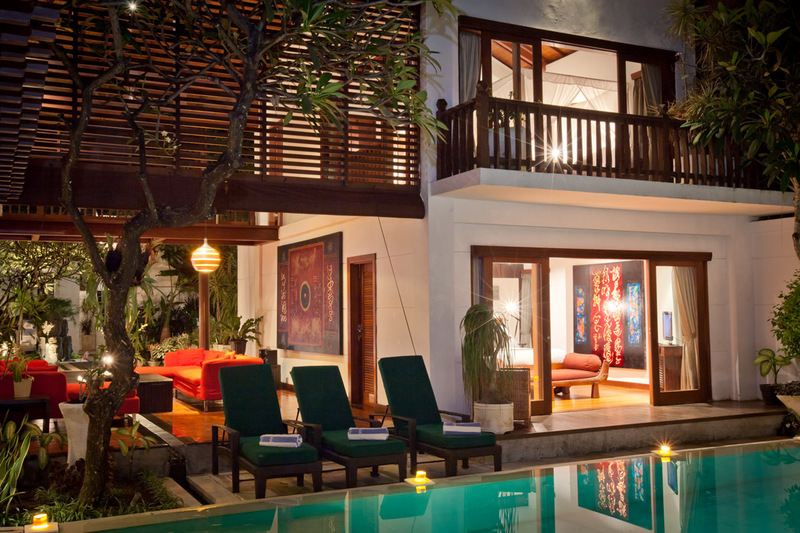 Everything you need to enjoy a wonderful holiday is just minutes away from this gorgeous villa. Take the kids or come with a group of friends and be sure to experience one of the best holidays of your life. 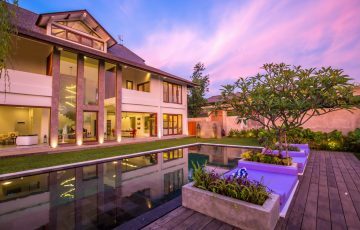 To view other Sanur Villas close to the beach or our full range of Bali villas please browse this website or contact our reservation team. 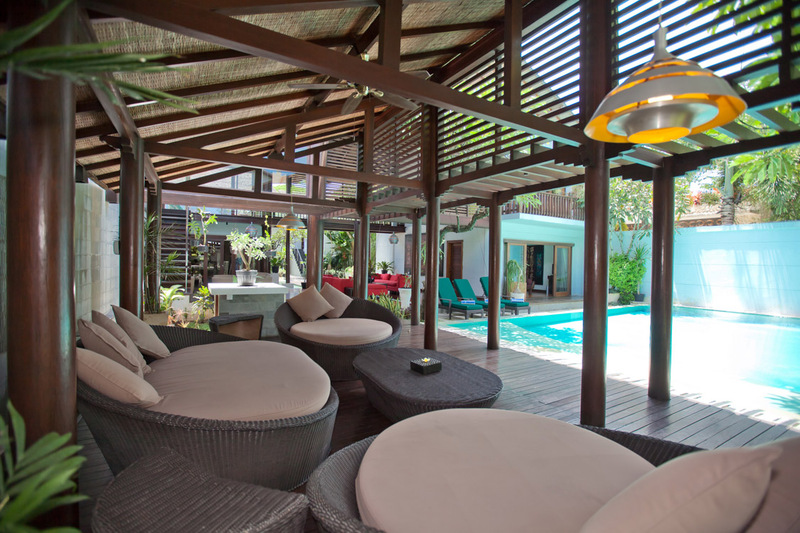 This is a really popular Sanur villa so if your planning a trip to Bali, especially during the Australian school or public holidays please book Villa Casis well in advance. 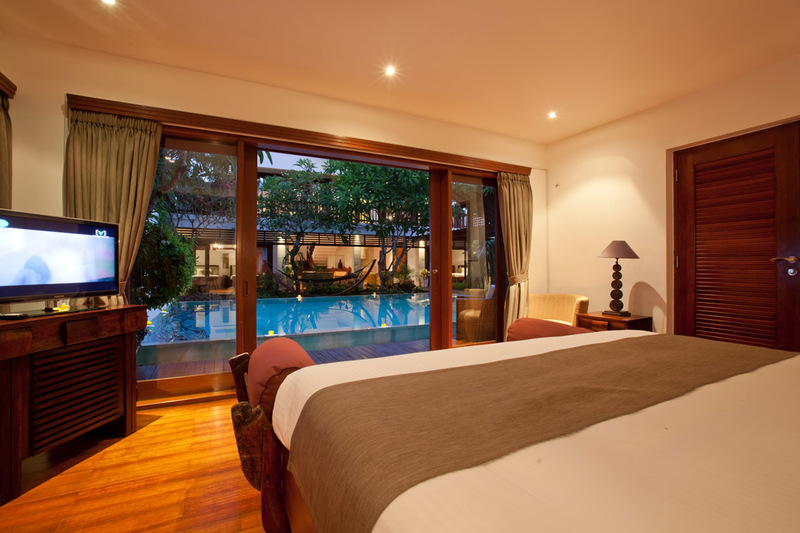 One night stay in Villa with swimming pool. In villa check in process. We came here over the school holidays with another family (there was 10 of us in total). 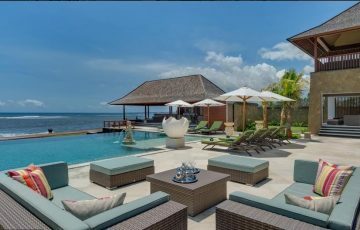 We were so lucky to get this villa and this was exactly what we were wanting on our family holiday; peace quiet and luxury. We got this and more. 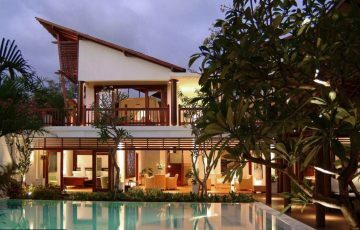 Villa Casis was one of those villas that we had to keep on reminding ourselves that this is not a dream. Perfect in every detail and in a fabulous location. The staff were magnificent and really professional. It's easy to give Casis a 10 out of 10! 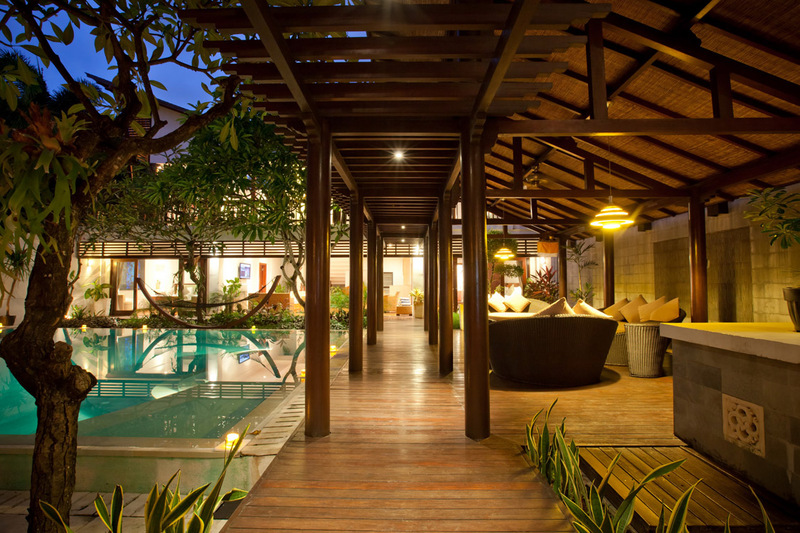 Try staying here, you will love it. Can't rave about Villa Casis enough. Staff were particularly attentive and we loved the breakfasts they made for the family every morning. The villa was really private yet we were able to walk to the beach for our daily swim in less than 5 minutes. 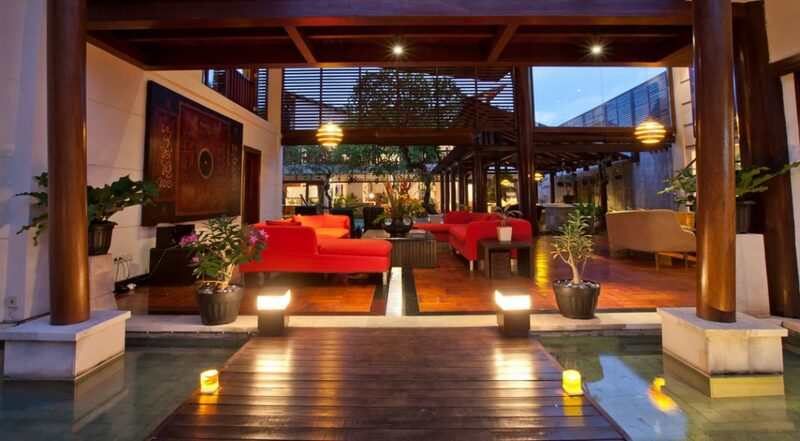 Also, the main shopping area of Sanur was close by which was great for shopping & eating out at night. 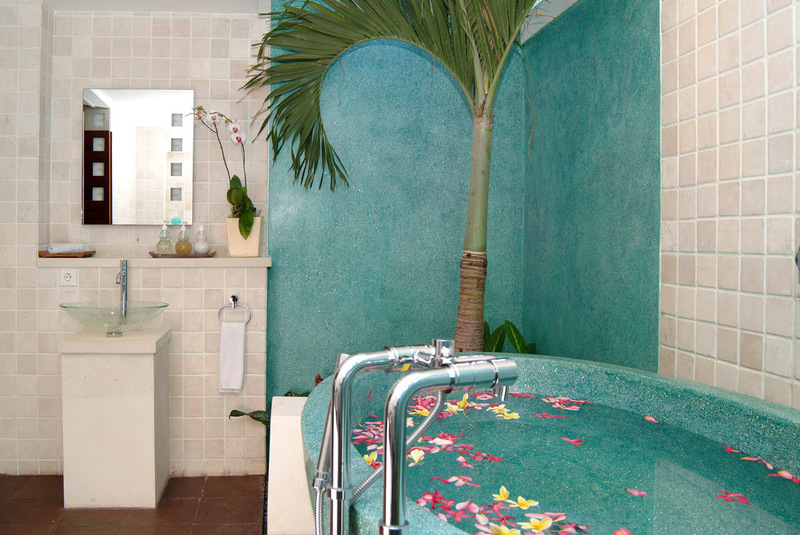 If your wanting a luxurious villa with all the added extras I thoroughly recommend Villa Casis - the pool, the large rooms, the living areas were all meticulously maintained and beautiful. 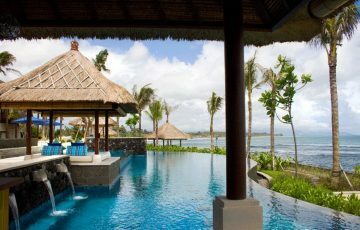 A huge thanks to Ina and Dewi at Bali Villa Escapes for organising this for us and handling all our emails!! 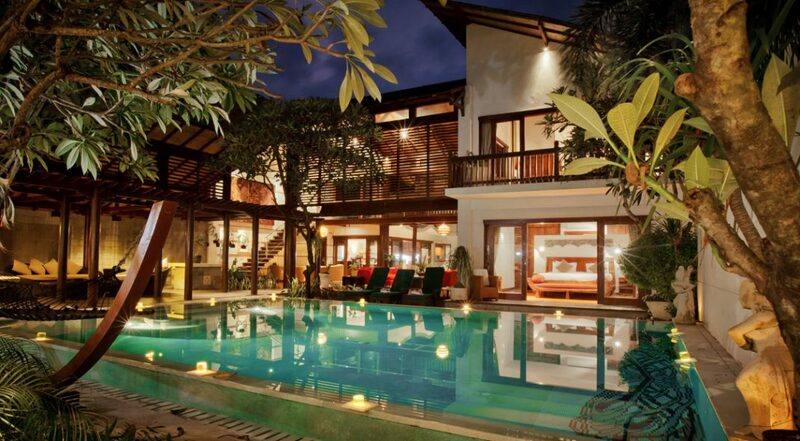 Sensational villa with so many positive things to say about it. Loved the staff and the proximity to the beach. Kids had an absolute ball. Highly recommend Villa Casis to anyone wanting at really chilled out holiday. 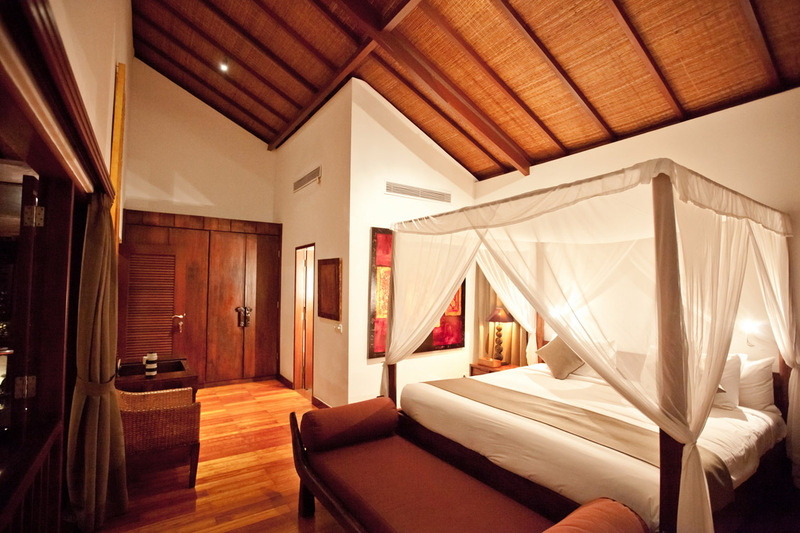 Fabulous staff, an AWESOME villa with beautiful facilities. A real holiday gem. 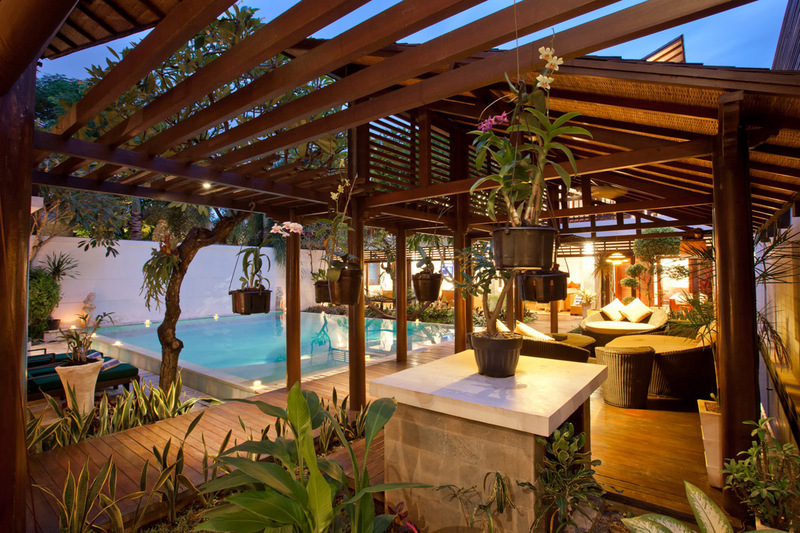 FABULOUS VILLA & HAPPY TIMES!! Thanks to everyone at Casis for the best holiday ever. Can't wait to come back.